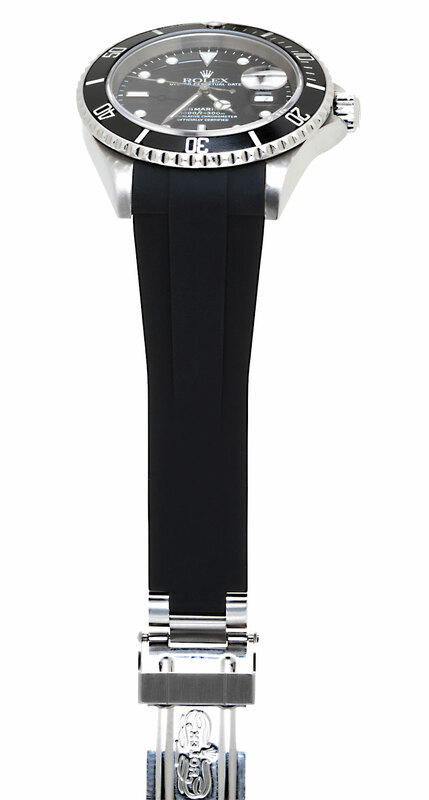 "The first and only rubber strap engineered specifically for Rolex watches!" It finally happened, or should I say it was finally bound to happen!!!! 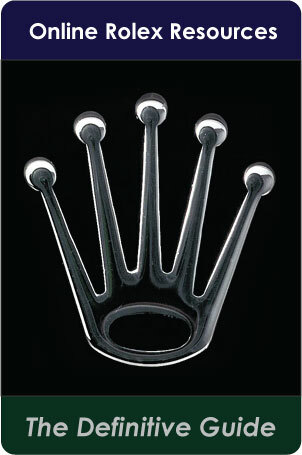 Finally somebody decided to create a very high quality rubber strap just for Rolex. So if this does not seem like a very-big deal, it is. Why? 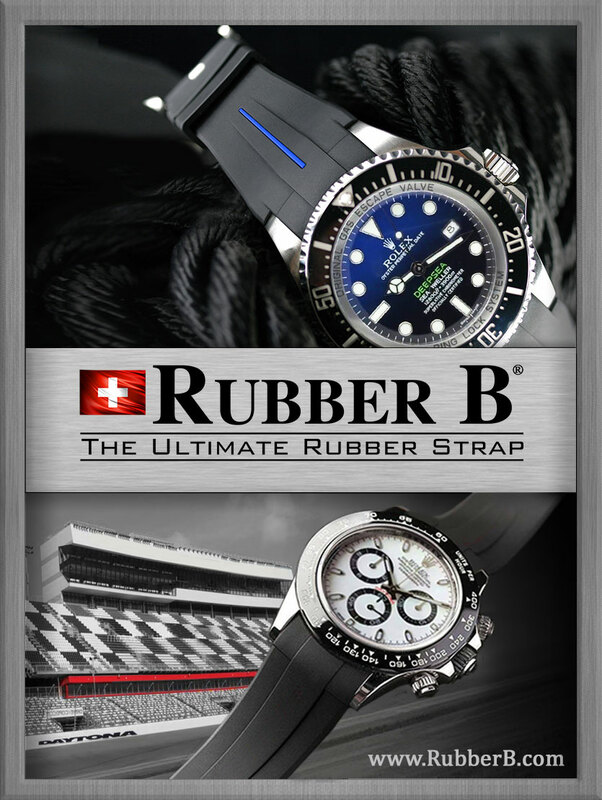 There are many, many, many aftermarket straps for that can be used on a Rolex, but virtually none engineered just for Rolex, that is until Rubber B, just introduced their first line of Rubber Straps. 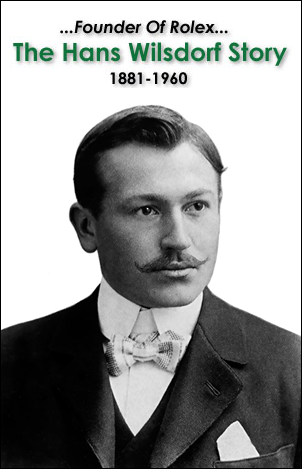 It took Rubber B a year and a half, just to develop and bring these amazing products to market. Before we explore the amazing level of engineering and detail that went into this herculean undertaking, let's examine what makes them look different. First of all RUBBER B straps come in different colors, that allow you to quickly and easily change-up the entire look of your Rolex. In this first shot, we see the dude sporting a white RUBBER , strap with a vintage Pepsi Rolex GMT Master. 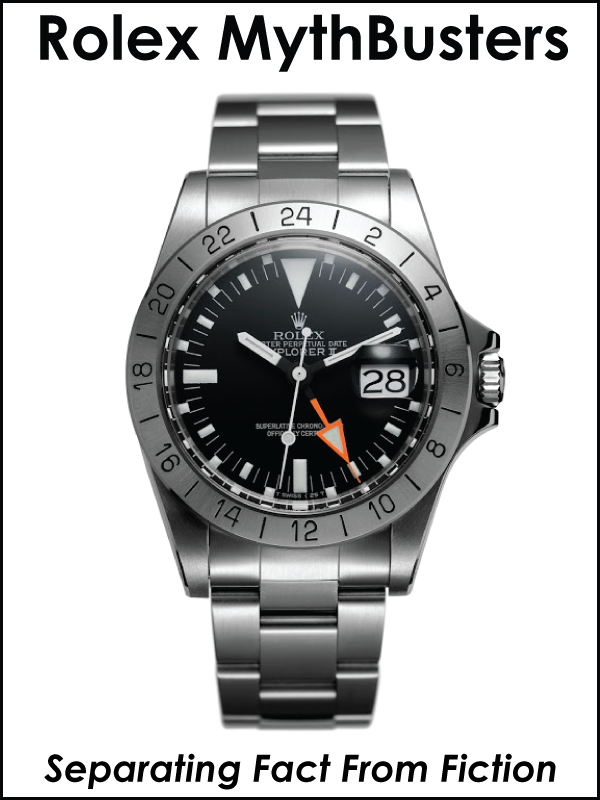 In the next image below, we see the RUBBER B, model sporting a modern Supercase Ceramic Rolex GMT on a black RUBBER B, strap. So you would assume that the strap in the photo above and below are the same strap in different colors. Right!?! Nope!!!! 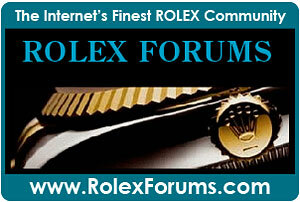 The challenge is that over the years, Rolex has made minute changes to the lug openings on their watches. So RUBBER B, had to figure out how to engineer different straps for different models, so they would fit perfectly. By perfectly filling in the entire lug area, it results in a much more finished, polished, refined, complete look. The material in the lug area is also structured, so it is reinforced to maintain its EXACT shape, indefinitely. (You can actually see the structural rigidity in the first photo in this story of the blue strap). 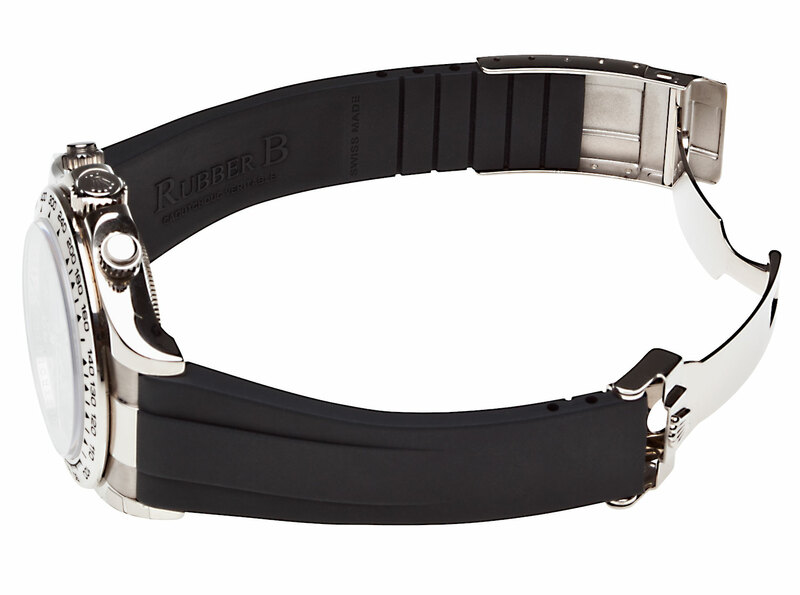 As I previously mentioned, Rubber B Straps are unlike any other Rubber strap in the world. To begin with, they are made in Switzerland from special type of rubber known as "Vulcanized Rubber" which consists of a very high-density composite that provides superior resistance to stretching, as well as not being effected by exterior environmental elements such as Ozone, UV, and the aggression of salt-water or an aquatic environment. 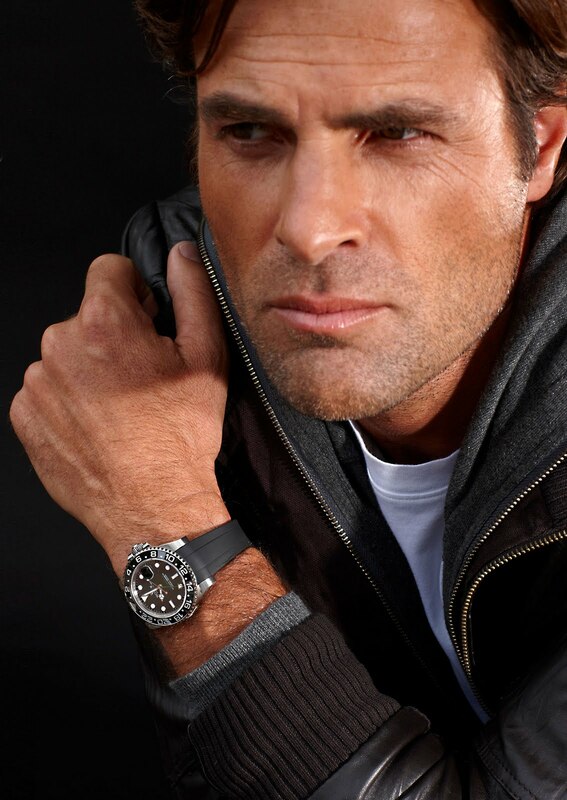 One of the design characteristics that sets Rubber B, apart is that it uses the original metal Rolex clasp that came with your watch, as seen below. 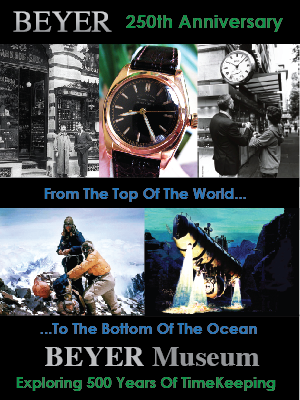 This next set of images shows the RUBBER B strap that was made for the recently discontinued Rolex Submariner. 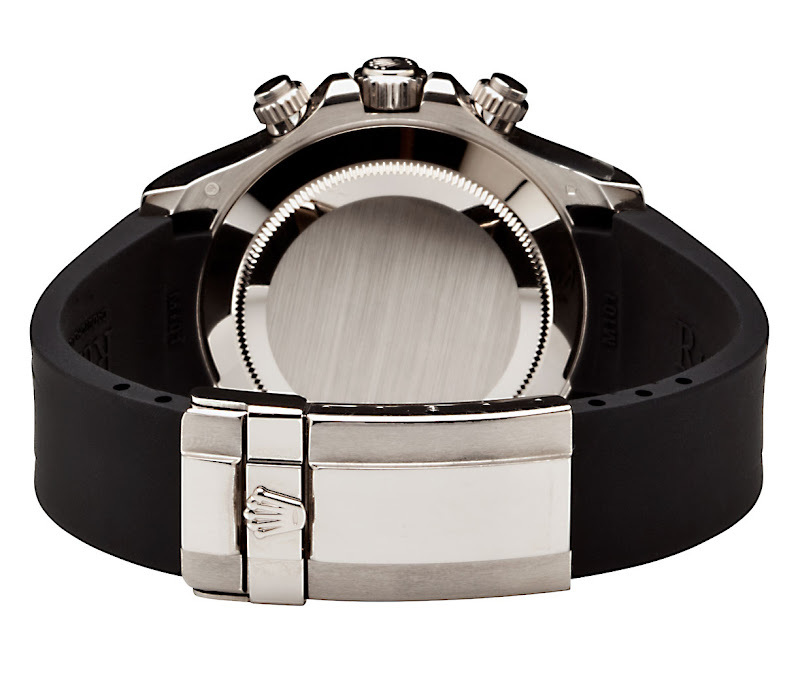 Rubber B decided to engineer their straps to use the original Rolex clasp that came with the watch, in order to maintain the authentic Rolex look, as well as allowing the user to benefit from the added security of the Rolex triple lock clasp. 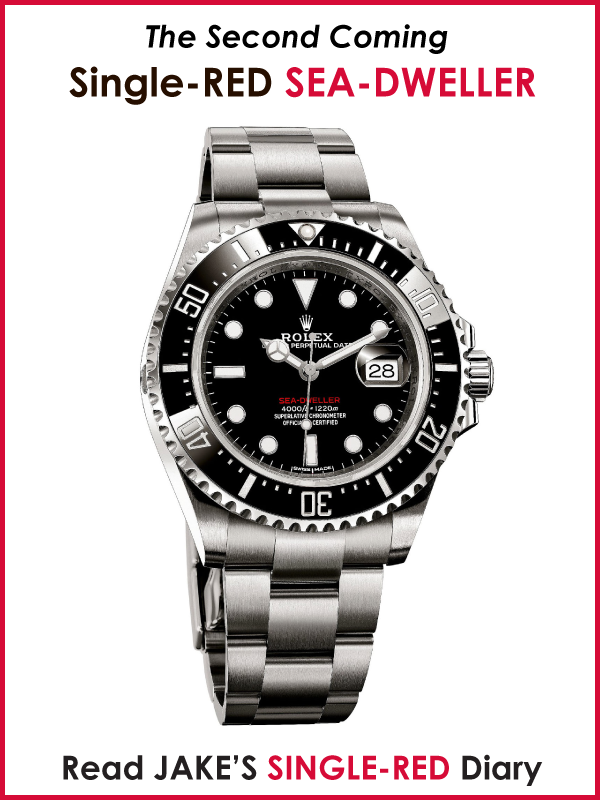 The watch in the photo above and in the two photos below is a standard modern Rolex Submariner, with a black Rubber B strap. 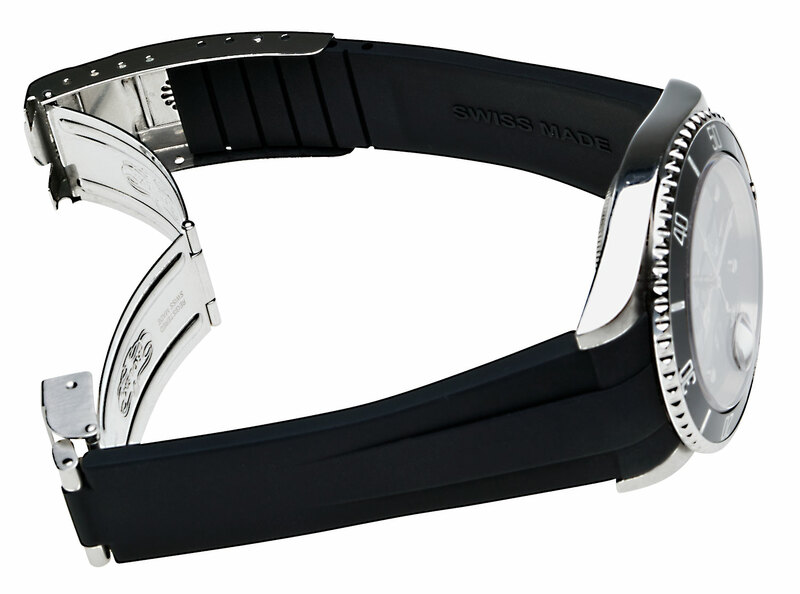 In this next image we see how meticulous the design and engineering detail is on the RUBBER B straps. Notice how the RUBBER B strap follows the center link design of the Rolex Oyster bracelet. Also notice how perfectly the end of the strap fits into the original Rolex clasp from the original Rolex bracelet!!! I imagine that if Rolex ever decided to make their own rubber straps, they could not make them an nicer. This next set of images shows the RUBBER B that is made just for gold Rolex Daytona watches that come from Rolex on a leather strap. 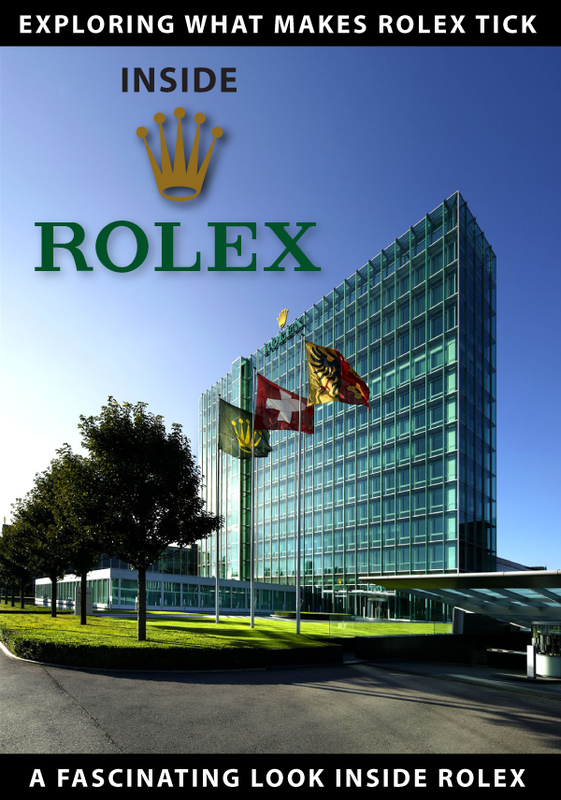 In other words, Rolex makes white and yellow gold watches that come with a matching gold Rolex Oyster bracelet, and they also offer a white and yellow gold Daytona that comes on a leather strap. 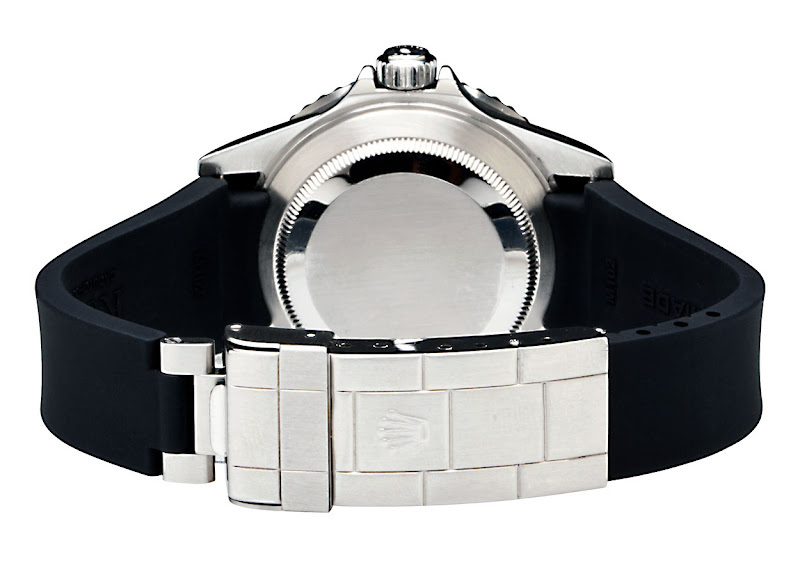 The Rolex Daytona version that comes on a leather strap has special end caps that fill-in the lug space that would typically be empty. Rolex provides these lug end caps to give the watch a much more finished look. 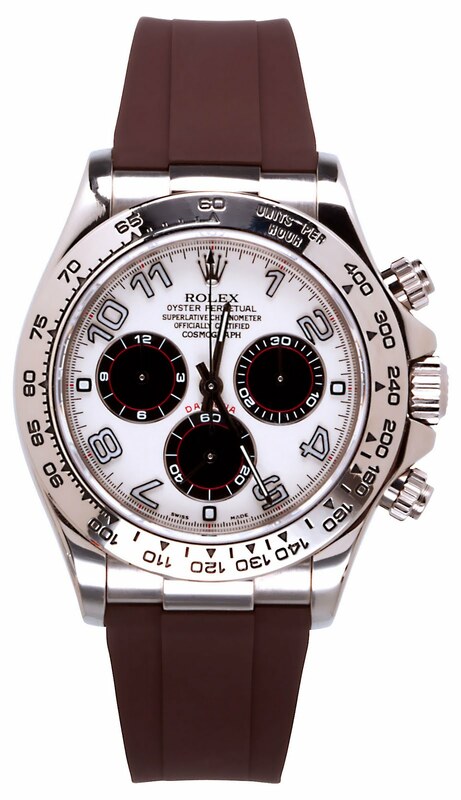 The challenge is that if you own one of these Rolex Daytona watches, you can't find a rubber strap that was specially engineered to fit these watches, until now. 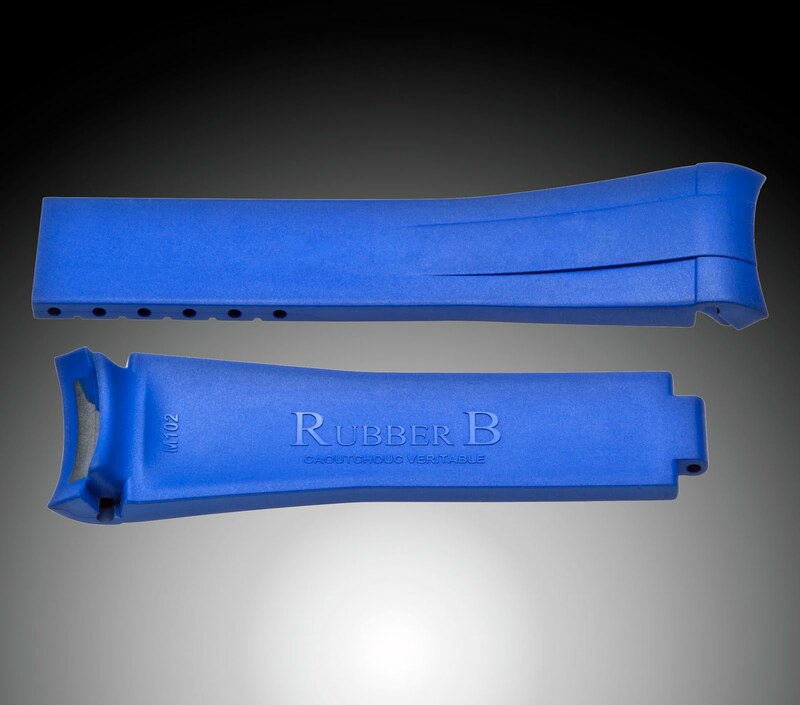 The RUBBER B model picture below is specially engineered to perfectly fit. 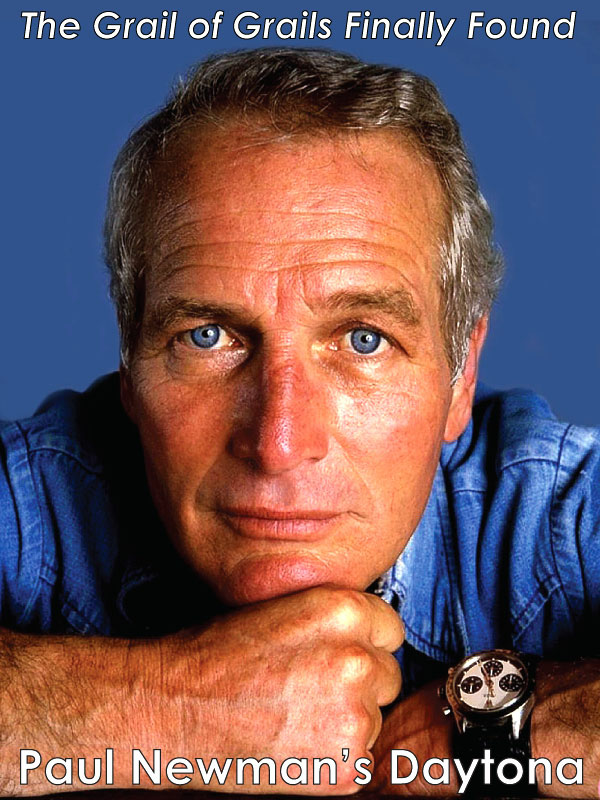 If you look at the image below and compare it to the image above, both are showing the same white gold Rolex Daytona, with a simple change of the RUBBER B Strap from black to brown. Once again, the photo below is identical to the one above, except the RUBBER B strap has been changed again, from brown to blue. 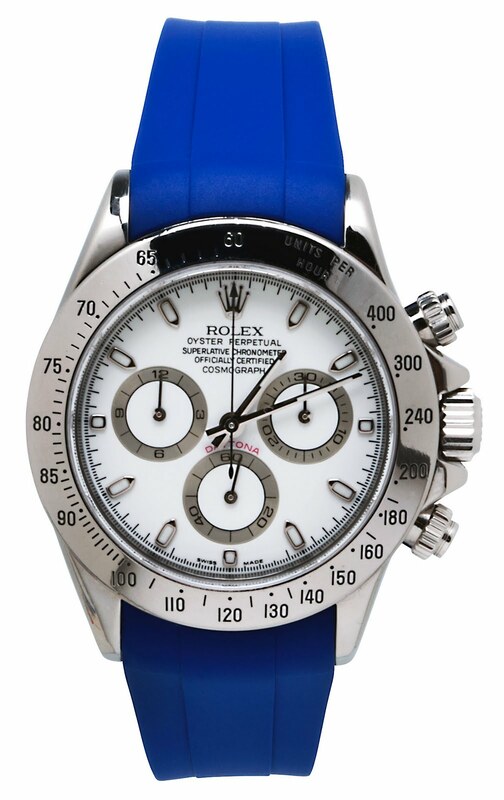 So just to be clear, the watch below is a stainless steel Rolex Daytona, which uses a completely different model of RUBBER B strap, which is specifically engineered to fit it, vs., the white gold Daytona pictured above. Even though they both have the same color blue strap, notice the difference in the shape of the end of the strap where it meets the watch in between the lugs. 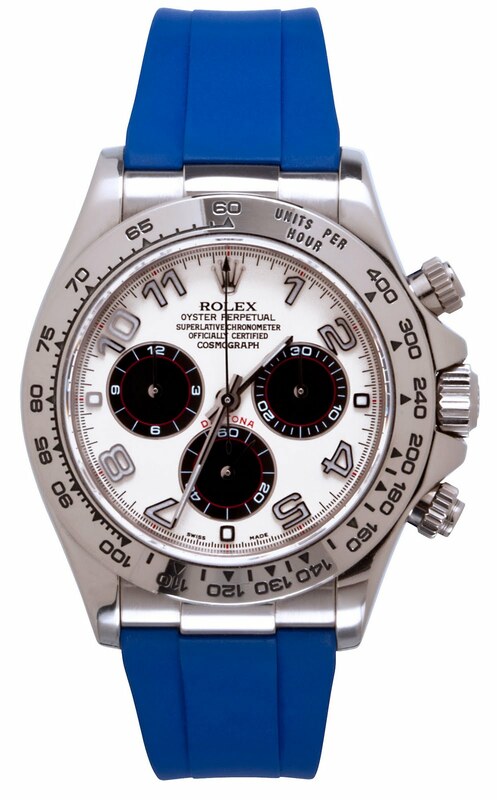 Obviously, the white gold version above had the end lug feature, and the stainless Daytona, picture below does not. RUBBER B straps retail for $220, which may seem like a significant investment, and they are. 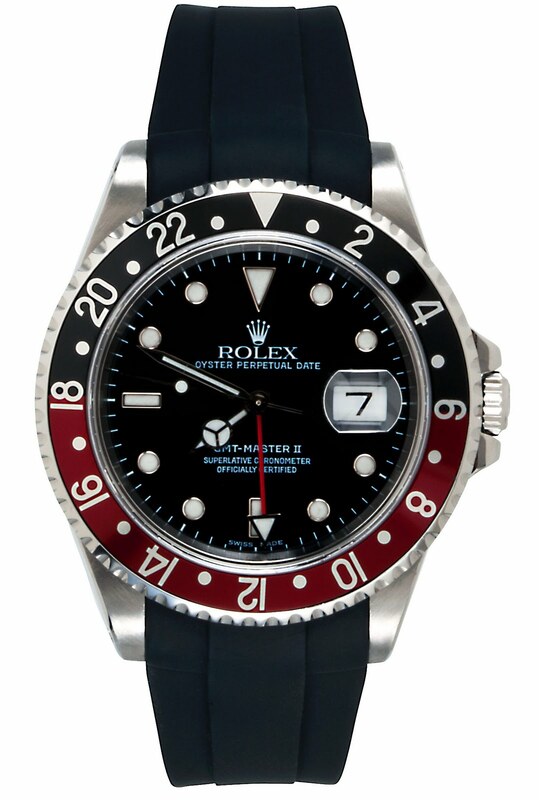 When you think about it, they are actually very inexpensive, because they allow you to completely change the look of your Rolex that costs between $10,000 and $25,000 for only $220. I would say that is a great deal. That being said, I think the most important detail to be aware of, is not only the amazing engineering and Swiss made quality, but most importantly, the longevity of this product. Since they are made exclusively from Vulcanized Rubber, they are built to last!!! 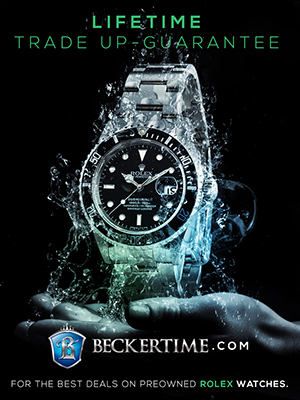 Just like Rolex watches are over-engineered, so are RUBBER B Straps. I am so excited about this innovative product, and RUBBER B., sent me some rubber straps to photograph and share with you. As soon as I get a chance, I will publish more images, and perhaps a video. That being said, RUBBER B straps are amazing!!! 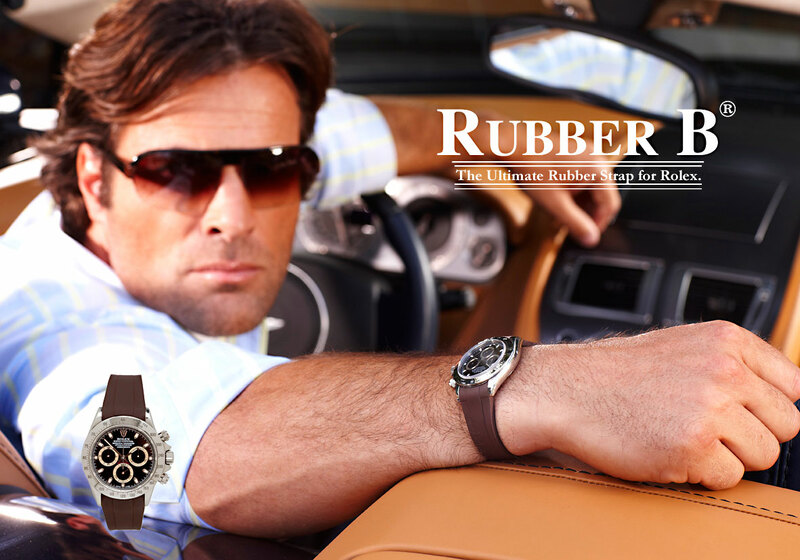 For more information about RUBBER B you can check out their website, and their amazing selection. I must admit, that I am stunned by how innovative, and well thought out the RUBBER B straps are. 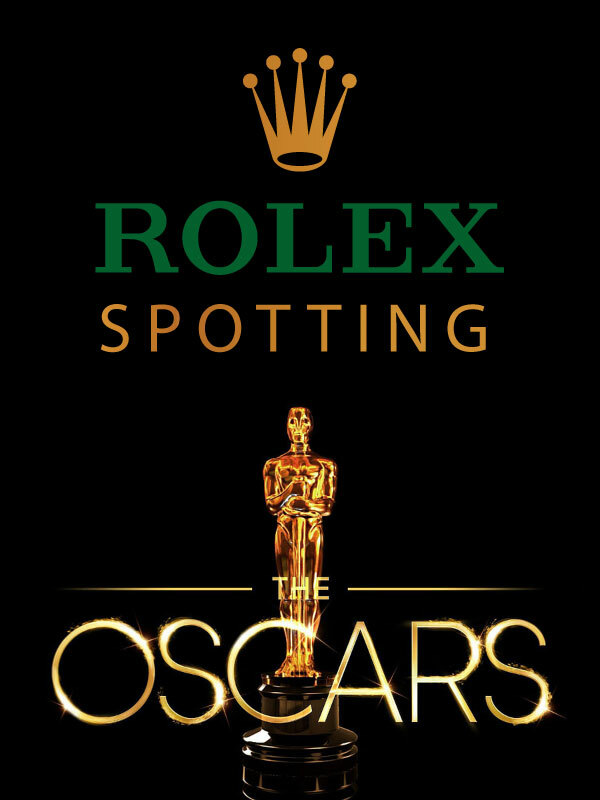 I have wondered my whole life why Rolex or another company, never came up with a beautiful solution like this, and it is great to know somebody finally did. Update: June 27, 2011: My pal Sheldon Smith from Minus4Plus6.com just wrote up a great review of Rubber B, which is great!! !